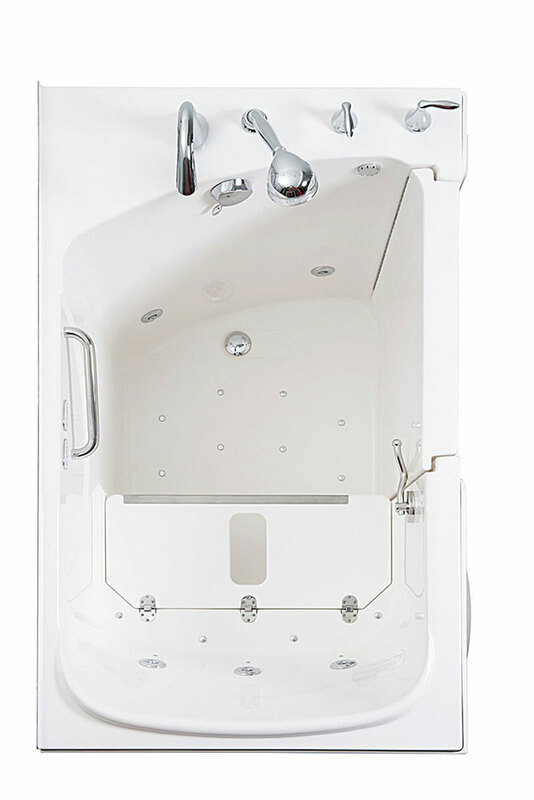 The largest walk-in bathing experience available, 45% wider than a standard walk-in tub, the Big E units come with a timed heated seat, safety bar and two drain waste and overflow sets for faster exit. 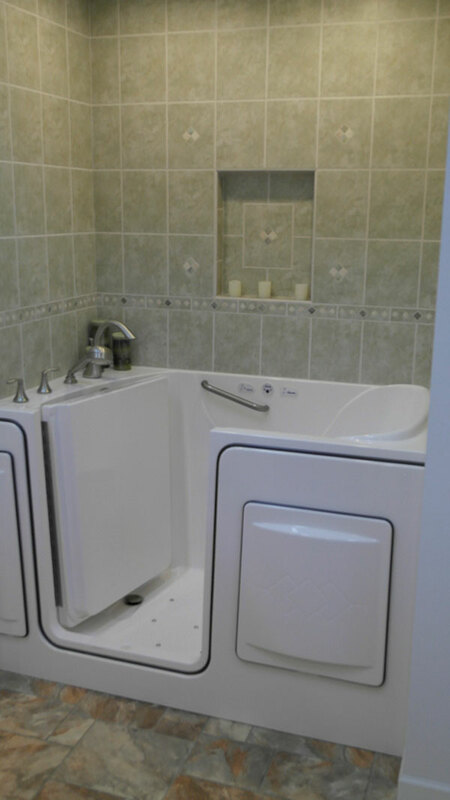 Options priced separately include a Moen hand held valve system, 7 water jet system, heated air jet system and Ozone sanitation system. 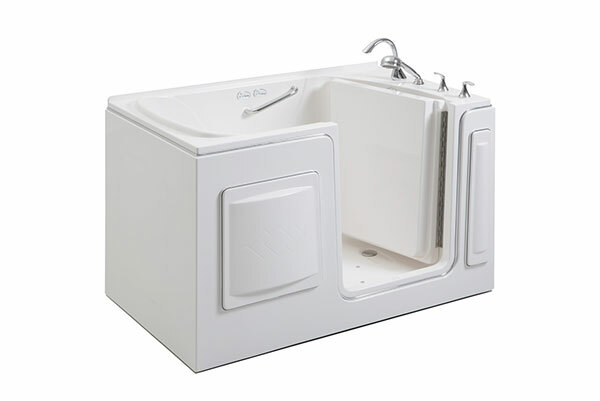 Dimensions: Basic tub 39″ H x 60″ W x 35″ D.
Basic tub with wall surround 99″ H x 60″ W x 35 D”. Available with door on right or left side.